William Shakespeare has once said ‘all the world is a stage’ and every now and then, we all love to enjoy a well-written script staged in theatre. All of a sudden you may want to see a drama. What if you are to find that one of your most loved pieces of writing is staged today, in few hours’ time, but you can’t buy a ticket before the play starts? Surely will be a disappointment. But with TodayTix your ticket is only a fingertip’s away (as long as you’re in select cities). TodayTix found by Merritt Baer and Brian Fenty is an innovation to help anyone with a busy schedule but who appreciates arts and theatre. If you forgot to buy your ticket, miss the chance to buy your ticket, TodayTix is the best place for you to buy your ticket just in few seconds. Make your grandma happy by taking her to her favourite play and surprise your fiancé by taking her to lovely musical. Even if it was unplanned, all you have to do is download TodayTix, search for the play and buy tickets. You can download TodayTix for your iPhone from AppStore, for your Android phones and tablets from Google Play and for Amazon Kindle and Fire Phone devices from Amazon. Just two years after TodayTix was founded in 2013, it finally launched its service in San Francisco in 2015. 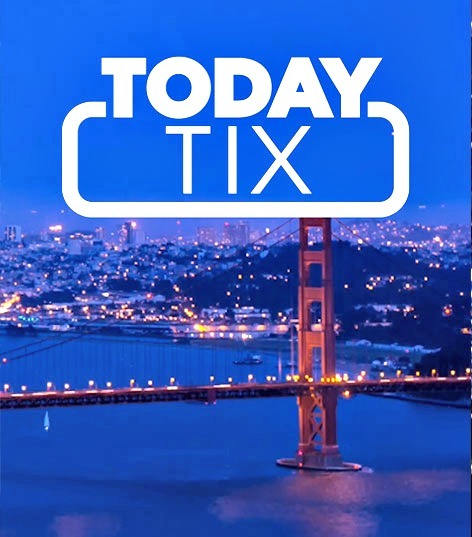 The West Coast version works the same as the New York one — from the iOS and Android application of TodayTix now you can browse for shows in San Francisco and buy your ticket in few seconds. If you went to buy a Broadway ticket, you will have to sit in queue for hours. But still no guarantee is there that you will get your ticket. You might have to return empty handed. But with TodayTix, there are no waiting lists, no queues and no wasting of time. It is only a matter of downloading the app compatible to your mobile and browsing for your favorite play or musical. So, San Francisco, no more waiting in queues! What is even more exciting about TodayTix is, the unbelievable amount of discounts offered. TodayTix offers 15 to 35% of discount per ticket. You may wonder how TodayTix offers such cheap tickets. The mainly targeted crowed of TodayTix is the buyers with last-minute buying habits. It offers the tickets that would go in waste which is being unsold in Broadway. All in all, it is a win-win to TodayTix and the buyer as it fills the unfilled seats and offers a cheap ticket. Apart from the 15 to 35% discount you get in TodayTix, as an additional feature, when you order for the first time in TodayTix, you will get a referral code of which will deduct another $20 from your first order. If you are a person with last-minute buying habits, you no longer need to worry about the missing chances to buy theatre tickets. Simply download TodayTix from your phone or tab, search for your favourite play and buy your tickets online in few seconds for a cheaper rate.